Written by Katie Cotton and published by Templar Books in August 2015 (and Little Bee Books in the US). The rain had begun to pour and pour when Farmer Bill heard a knock at his door. He opened it up and a head peeked through. It was a cow, and the cow said, "Moo!" 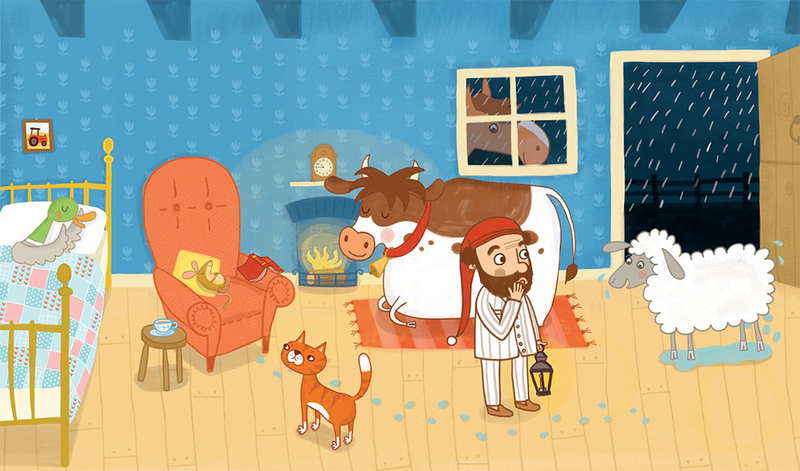 Poor Farmer Bill opens his door to a duck, a sheep, a mouse and a horse before his cottage gets so squashed that he decides to go and find a new bed. Will he ever get some sleep? Readers can press the animals to hear the funny sounds they make.